CV’s fleet of Boeing 747 freighters was kept busy during 2017 due to the continued high demand for cargo capacity. This resulted in a total of 131.212 block hours flown, an increase of 7 percent over 2016. Daily aircraft utilisation was in excess of 15 hours. The Cargolux Group continues its build-up of the Chinese hub in Zhengzhou, although the project to launch an own freight carrier there as joint venture with local investors has been postponed. Total tonnage to and from China reached 250,000 tonnes, of which 170,000 tonnes passed through Zhengzhou. The carrier further states that the agreement reached with Emirates SkyCargo is starting to bear fruit. This includes mutual capacity swops as well as Emirates dedicated freighter service which serves Luxembourg. Two new African destinations were added to CV’s network during 2017. These were Douala in Cameroon and Lubumbashi in the Democratic Republic of the Congo. Four new weekly services to Quito were also added. All in all, a very good year. UK (Stansted)-based CargoLogicAir (CLA) has enlarged its network and upped its B747F services to Dubai, Hong Kong and Atlanta. New twice weekly freighter service are being offered from Stansted to Dubai, both of which continue on to Hong Kong. In addition, CLA have initiated two direct Hong Kong to Stansted flights. Atlanta gets a third weekly rotation Stansted - Atlanta - Stansted which is in addition to the two Stansted to Mexico City flights which route also via Atlanta. Last week CLA’s CEO, David Kerr is reported to have said that the carrier remains fully committed to holding its UK AOC and that they will announce new services from the UK in the near future. In light of the uncertainty of UK cargo operations after the Brexit kicks in, recent reports indicated that CargoLogicAir may be applying for a German AOC and that there are considerations that Leipzig Airport could become their new hub. The Ukraine-based Antonov company which operates a fleet of seven large AN-124 freighters as well as the world’s only massive six engined AN-225 freighter, named “Mriya”, announced at last week’s ILA Air Show in Berlin, that it is willing to provide additional support for the Strategic Airlift International Solution (SALIS) operation which is run for NATO and EU countries. This includes more operations with their AN-124s which can carry up to 150 tonnes per flight as well as offering SALIS their AN-225 aircraft which holds up to 250 tonnes and is ideal for the transport of very heavy and bulky military equipment. The AN-225 was the eye-catcher at the ILA Air Show. Antonov states that their freighter fleet is presently undergoing a modernisation program which will enhance its capabilities of carrying outsized cargo around the globe and offering clients much faster turnaround times at the airports. A new pilot project has just been launched by The International Air Cargo Association (TIACA) which is said to allow forwarding agents to review and rate the quality of service they receive at hubs participating in the scheme. The project is tied in with TIACA’s new online Cargo Service Quality (CSQ) tool. In total, fifteen airport cargo terminals have agreed to try out the new system. These include Singapore Airport Terminal Services (SATS), Hong Kong’s Asia Airfreight Terminal and India’s Delhi Airport. Three major Indian airports have joined the scheme - Kolkata, Delhi and Mumbai. The new tool incorporates a four-step process. These are Benchmarking, Assessment, Improvement and Excellence. According to TIACA the result being aimed for is to raise the overall cargo service standards. This year’s TIACA Air Cargo Forum which is being held in Toronto, will have an extra panel to explore the new CSQ tool and give members a comprehensive insight into its advantages. TIACA is working on convincing other airport cargo handlers on what they see as the benefits for them to use the CSQ tool. It is said that LATAM’s share will be sold to a group which is being led by current shareholders in Mas Air. Negotiations between the the relevant parties are ongoing and it is hoped that an agreement and transfer of shares will be reached by the beginning of August. All parties are keeping quiet about the sale price. 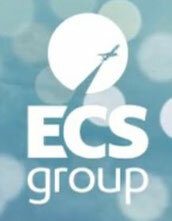 Beirut, Lebanon based Middle East Airlines (MEA) has announced that they have appointed the French ECS Group as their General Sales & Service Agent at the carrier’s main European hub at Paris Charles de Gaulle Airport. The agreement covers sales and operations services for MEA at the airport. The Lebanese national carrier used CDG as Their European hub and funnel cargo from various other European cities through CDG for flights to Beirut and onto other destinations in the Middle East and Africa. MEA offers a total weekly cargo capacity of around 1,200 tonnes on their fleet of A330-200 and A320 passenger aircraft. Royal Air Maroc (RAM) has added their first B767-300 freighter to the fleet. The aircraft which flew in a passenger configuration for RAM was converted into a BCF model and is in service since mid-April. Jakarta-based Cardigair has taken delivery of their first B737-400F. The aircraft which is a converted passenger model is being leased from Vallair. Cardigair also operate two B737-300Fs. The UK (Coventry)-based carrier, Atlantic Airlines, has received the first ever converted B737-800 freighter. The aircraft is one of four B737-800s which are to be converted to freighters for Atlantic. They are leased from GECAS. Sao Paulo-based Modern Logistics will shortly receive their first B737-300 freighter, a passenger conversion. The carrier already operates two B737-400Fs. Air Incheon, the Seoul-headquartered airline has taken delivery of their first B767 freighter. The aircraft which is a -300 series is over 25 years old and services has been started on the Seoul to Hanoi route. A second B767F is expected to join the fleet soon.